Bodegas Alvarez y Diez is a wonderful and ambitious winery based out of Nava del Ray in Rueda. In 1941, Alvarez Romero and Eladio Diez Ossorio began this family estate, which is now known as one of the oldest Bodegas in all of Rueda. Over decades of winemaking and grape growing, the winery creates a wonderful line up of Rueda’s famous white grapes. Enrique J. de Benito and his sons have taken what has always been, and created an estate of modern and advanced equipment, mixed with earth conscious practices, and create their family estate wines. Due to the heat of Rueda, it was common to have ‘underground bodegas’ for wineries, to this day Alvarez y Diez still owns and even uses their museum-like cellar under the town square’s church. Rueda is a wine region at the heart of the Iberian Peninsula, located just north-west of the Spanish capital, Madrid. It is known for its dry, aromatic white wines made predominantly from Verdejo, with small quantities of Viura and Sauvignon Blanc. These fresh, aromatic whites are an ideal complement to the heavy Tempranillo-based reds of neighboring Toro. 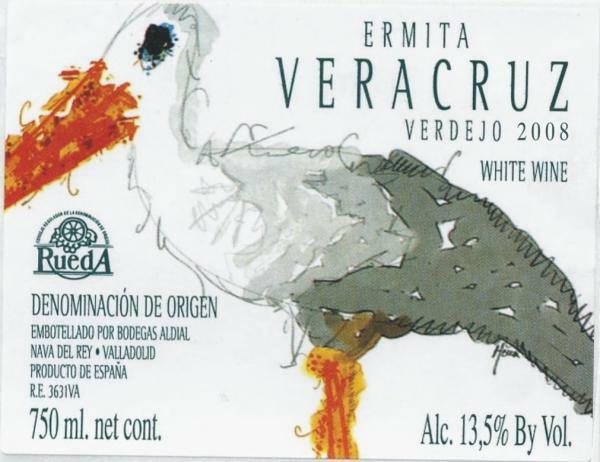 Standard Rueda Blanco must be made from at least 50% Verdejo, a variety so aromatic that even substantial additions of neutral-scented Viura (Macabeo) do little to reduce its character. Relatively recent additions to the region's wine portfolio are the varietal wines 'Rueda Verdejo' and 'Rueda Sauvignon', which must be made from at least 85% of the stated variety.